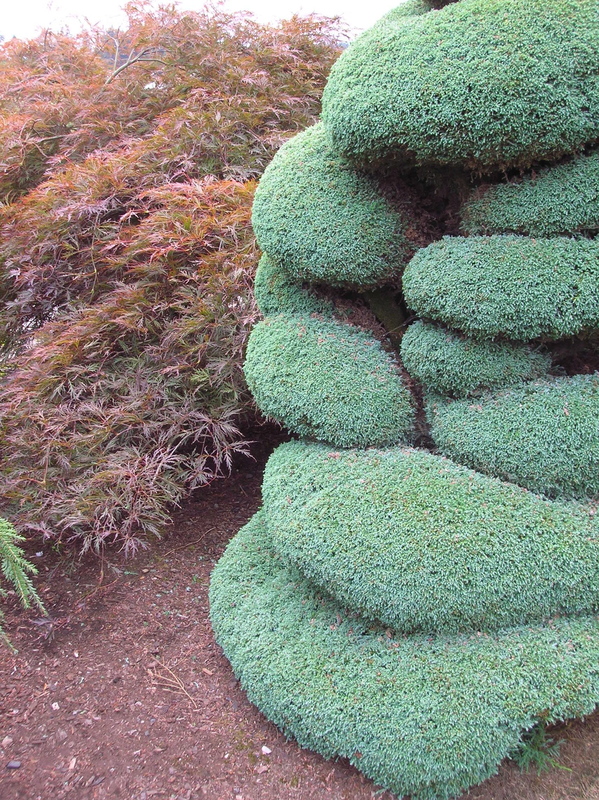 Not your usual approach to topiary, this specimen works on many levels — including textural and colorwise. There are those who pooh-pooh the very idea of “meatball” or “lollipop” shrubs. 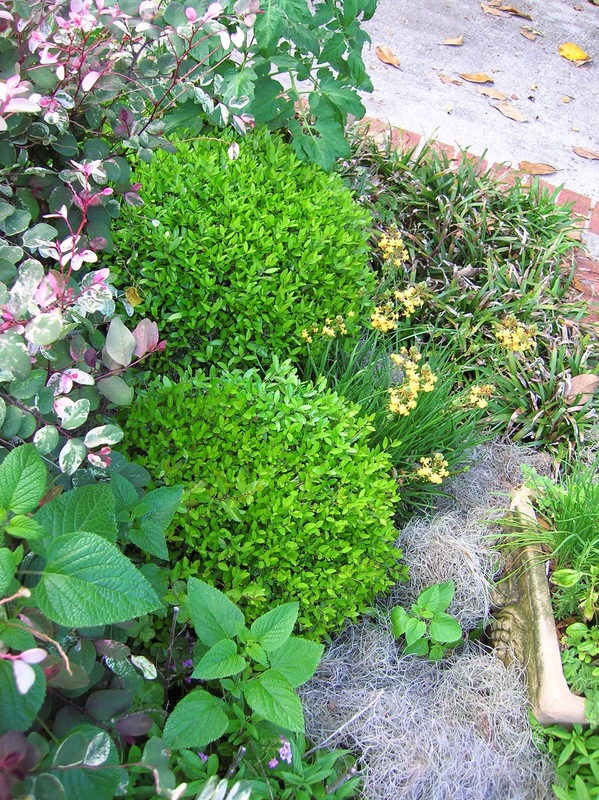 You know those small-foliage shrubs such as boxwood or Yaupon holly closely cropped into the little round balls or a number of plants which are made into standards. Proponents of the “natural look” eschew, even deride this approach to gardening. • No garden is “natural.” You say you are going for the natural look, right. The very fact that it is a garden defines it as a place where the hand has exhibited control. There really is no such thing as a natural garden. It’s what they call an oxymoron. You want natural, head for the woods. • Topiary is a time-honored garden tradition, and for good reason. Like the example above, topiary can evolve into something challenging the concept of tradition. • Geometric shapes in a garden perform a couple important tasks. Squares, rectangles, balls — anything but shrub-shaped — can provide textural contrast with the completely natural elements. They also provide focal points, that incongruity of something a bit out of place, so un-organic, yet at the same time being completely organic and so very right. So there you have it in a nutshell. You may not agree with me, but that’s my story and I’m sticking to it! “Meatballs” of Yaupon holly, providing textural contrast.